We want everyone to be a part of this phenomenon, be sure you and everyone you know are viewing the solar eclipse safely this year! Moon Pie: Have a sweet treat very fitting of the occasion! 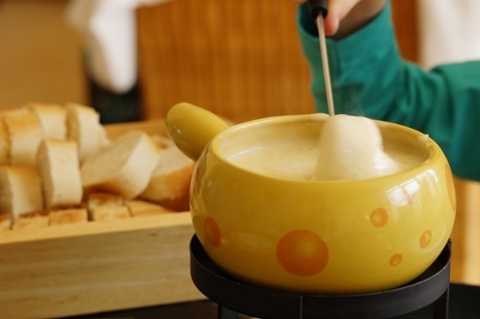 Fondue: In the early 1970's, the time of the last total solar eclipse that was viewed from the United States, fondue became very popular. Celebrate the eclipse by bringing out your old fondue pot and making use of it again. 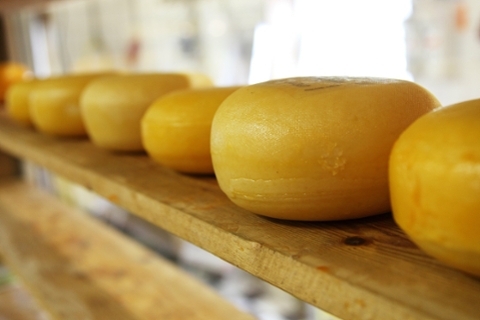 Cheese Ball: Who doesn't love a big ball of cheese? Enjoy this snack that represents the sun. 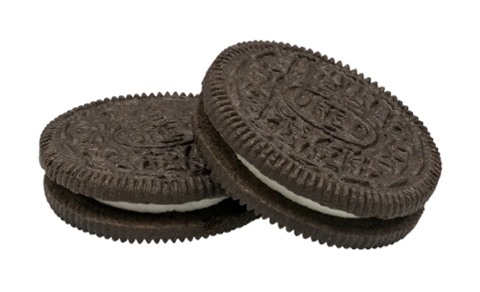 Oreos: Show the phases of the moon using this delicious chocolate cookie. Galaxy Cookies: Decorate your own cookies to look like the galaxy! For directions, see below. 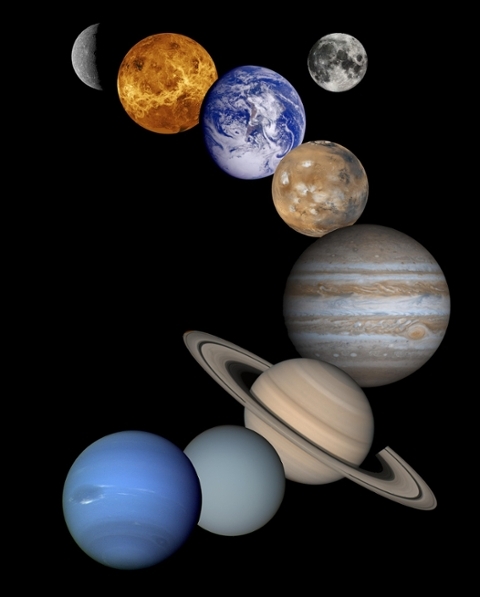 Solar System Kebabs: Create the solar system out of cake balls, or your favorite fruits and veggies, and put them on a kebab. For a suggested kebab, see below. 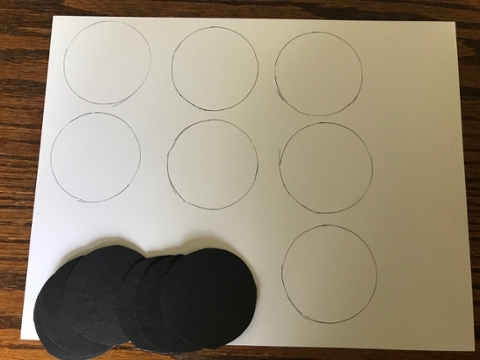 Poke a small hole in the center of the cardstock, and place the piece of paper on the ground (this will serve as the "screen" to view the solar eclipse!). Now, stand with your back to the sun and hold the card a few feet from the ground. Play with the distance between the cardstock and the screen to bring the light into sharper focus. When the eclipse takes place, the circle will shrink and turn into a crescent. If it were a total eclipse, it would turn into a thin-lined "O." Use the sun’s energy to cook some tasty treats, such as the galaxy cookies, for eclipse day! 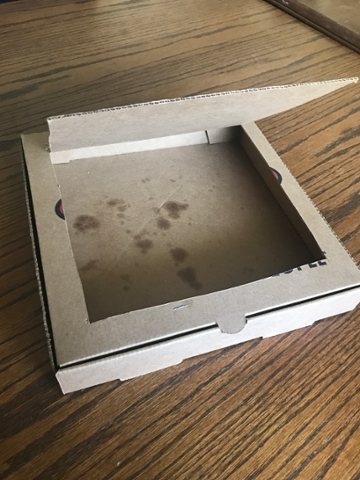 First cut a flap in the lid of the pizza box along three sides, leave an inch between the sides of the flap and the edge of the lid. Then, cover the inner side of the flap with aluminum foil, this will allow it to reflect the sun’s rays. 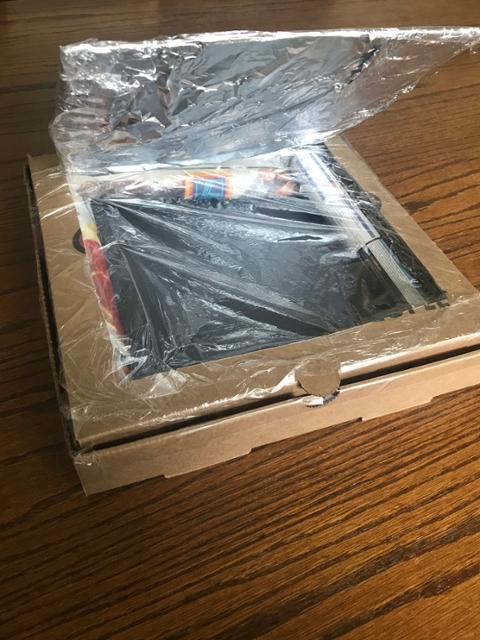 Use clear plastic wrap to make an airtight window for sunlight to enter the box. 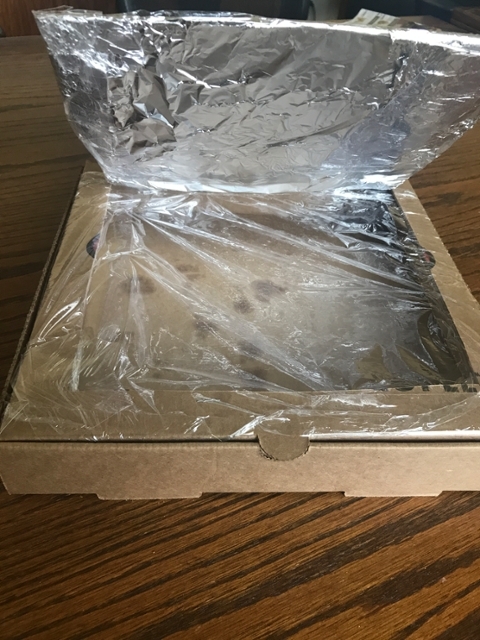 Now, line the bottom of the pizza box with black construction paper to absorb the heat. Next, to insulate the oven, use rolled up newspaper at the bottom. 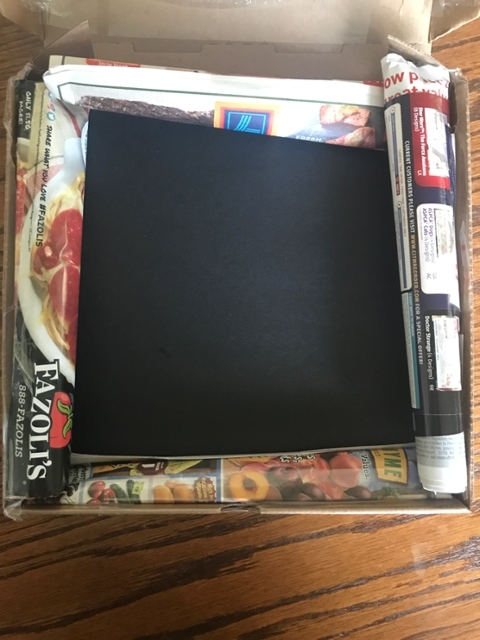 Tape it on the border of the box, but allow the lid to still close without air leaking out. The solar oven is now ready to use. Make sure to prop the oven open with the ruler so that sunlight is reflecting off the aluminum foil, and enjoy the tasty snacks you cook! Take some black paper to symbolize the night sky, then put star stickers on them in the shape of a constellation. 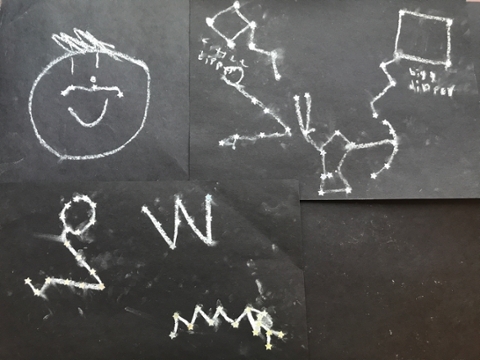 Now, take a white crayon or piece of chalk, and draw how you think people long ago used to make pictures out of the stars! During a solar eclipse, a corona (aura of plasma) can be seen around the dark moon. 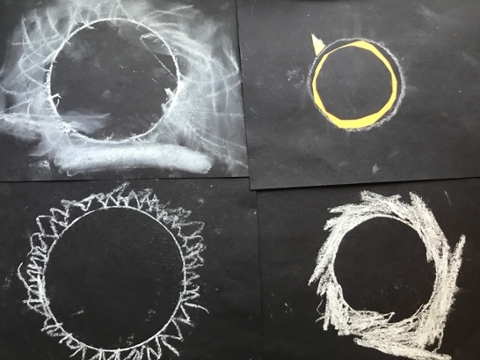 As a fun activity, you and some of your friends can draw what you think the corona will look like! We would love to see your creations tweeted to our IU Science Outreach page @IUScihouse using #IUSolarEclipse2017. Make a time capsule to be opened April 8, 2024, the date of the next total solar eclipse! Put in items like a current newspaper, the picture of the predicted corona, and much more. Share what you put into your time capsule with us by tweeting @IUScihouse using #IUSolarEclipse2017. Attach the rod to the paper plate using clay, and use the sundial to observe the passage of time! Share your creations with us by tweeting @IUScihouse using #IUSolarEclipse2017. These galaxy cookies are so good, they're out of this world! 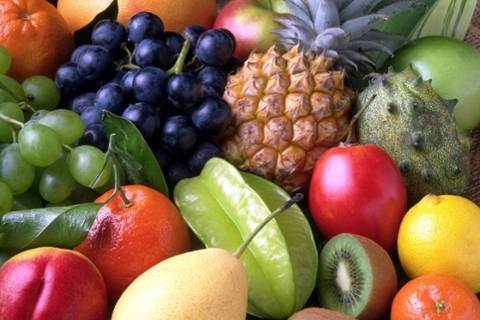 Gather your friends and try this fun recipe. First, bake a batch of your favorite sugar cookies. Second, use white, purple, black, and blue icing to decorate your cookies to resemble the galaxy. Use short strokes and experiment with different amounts of different colors. Just have fun and really make these cookies your own! 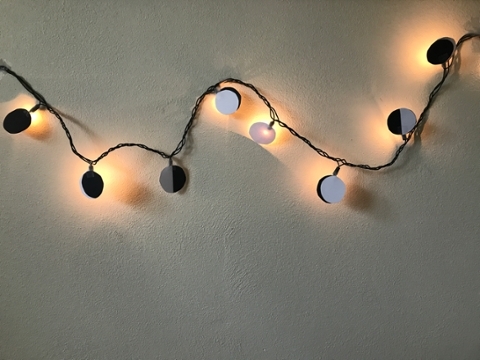 These decorative lights are sure to tie any solar eclipse party together! 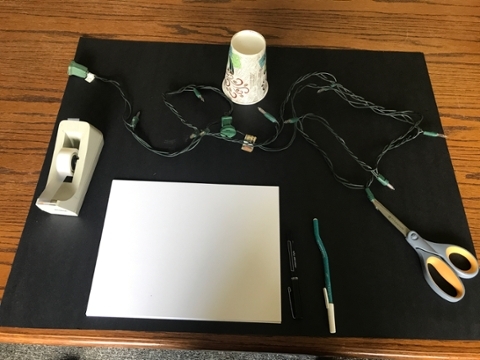 First you'll need to gather black paper, white paper, a writing utensil, scissors, tape, stringed lights, and a round object to trace around. Last, use the tape and scissors to make them into the phases of the moon and attach them to the lights. And now, you have the perfect decorations for your party! The last total solar eclipse that was able to be viewed in the continental United States was July 7, 1972. So, take a trip back to the last eclipse and dress like you’re in the 70’s by wearing maxi dresses, mini skirts, knee socks, and patterns. Play Solar Eclipse Jeopardy against your friends to test your eclipse knowledge! Use our Solar bingo boards and vocabulary sheets and play with your friends! In 1972, the year the last total solar eclipse was viewed from the United States, Pong became the first commercially successful video game, so celebrate the eclipse by playing with friends and family!